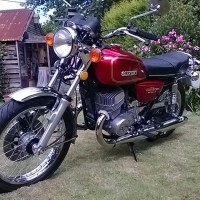 Restored 1971 Kawasaki H1A Mach 111 Motorcycle. 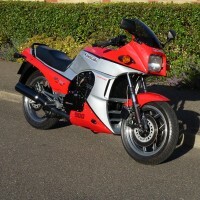 Original N.O.S. 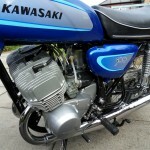 Kawasaki parts were used where required. 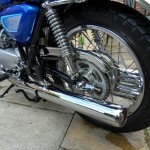 All of the rubber grommets including the front and rear footrest rubbers were replaced with new old stock items. 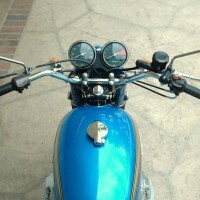 The instruments were restored with new faces, jewels, glass and repainted inside. 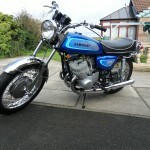 The frame was stove enamelled. 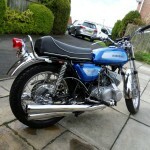 The candy tone blue paintwork was professionally refinished. 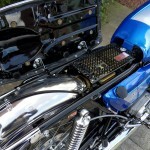 The inside of the fuel tank was treated. 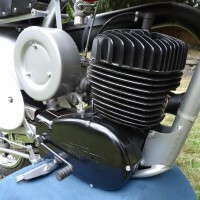 The carburettors were sonic cleaned inside and out. 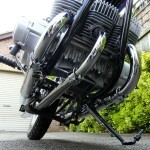 The pistons rings and small end bearings were replaced. 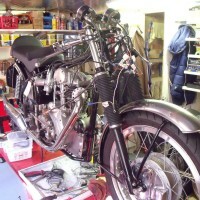 All of the original nuts, bolts and fasteners were re-plated. 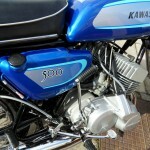 A really great restored Kawasaki H1A Motorcycle. 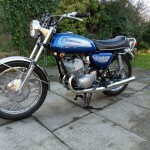 Kawasaki H1A – 1971 For Sale or Wanted? 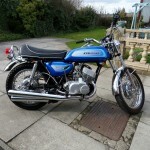 If you're looking for the perfect Kawasaki H1A – 1971 for sale then take a look at the hundreds of restored classic motorcycles listed on our extensive Motorcycles For Sale pages. 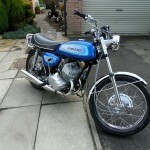 We regularly feature very nice restored Kawasaki H1A – 1971 bikes for sale. 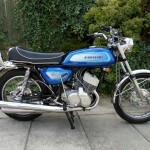 Spares and Parts for your Kawasaki H1A – 1971? 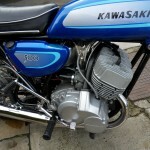 Workshop Manual for your Kawasaki H1A – 1971?